This is my review of the American Express Preferred Rewards Gold (Amex Gold) credit card. Key facts: No annual fee in year 1 and £140 thereafter. You can cancel at any point. Interest rate: Representative APR 57.6% variable including the annual fee (free in year 1) based on a notional £1,200 credit limit. Interest rate on purchases 22.9% APR variable. What is the Amex Gold sign-up bonus? Amex Gold offers 10,000 Membership Rewards points when you spend £3,000 within 3 months. This is the most generous sign-up bonus generally available on any free UK loyalty charge or credit card – albeit that Amex Gold is only free for the first year. Membership Rewards points can be converted 1 to 1 into Avios. Click here to see what other reward programmes are Membership Rewards transfer partners. This means that you can receive 10,000 Avios points for free by applying for this card, spending enough to trigger the sign-up bonus and then transferring the points to British Airways. You can get an even higher bonus of 12,000 Membership Rewards points if you are referred by an existing American Express Platinum or Gold cardholder. Please e-mail me at rob [at] headforpoints.co.uk if you would like a referral. If you do not qualify for the bonus, you can still apply. You still receive the other card benefits, including the two free airport lounge passes and ‘no fee in the first year’. Any other benefits with Amex Gold? You receive two free airport lounge passes each membership year with Amex Gold, valid at any airport lounge in the ‘Lounge Club’ network. Heathrow (including the Aspire lounge in Terminal 5), Gatwick, Luton and Stansted – amongst many others – have participating lounges as do most major airports worldwide. After your two free visits, you can make further lounge visits for a £20 charge. You will receive 10,000 bonus Membership Rewards points each year when you renew your Amex Gold membership if you have spent £15,000 in the previous year. These will post one month after your renewal date. You will receive a 10% discount and free additional driver on Hertz bookings. There are also 350 4-5 star hotels worldwide which offer a $75 in-hotel credit and an upgrade when booked by an Amex Gold cardholder via the American Express travel service. What is the Amex Gold annual fee? There is no fee for the first year of Amex Gold. For future years, there is a fee of £140. I would personally struggle to justify that fee in light of the benefits unless I was making heavy use of the $75 hotel credits. As the annual fee is refunded pro-rata if you cancel, there is no rush to cancel before the fee becomes due. You may want to roll over your membership for a couple of months until you have used the two extra Lounge Club airport lounge passes which come on renewal. Foreign currency transactions and airline transactions earn 2 points per £1. Travel bookings made via the American Express Travel website, and paid for online, earn 3 points per £1. Is Amex Gold a good card to use when travelling? Yes, to the extent that your receive double Membership Rewards points when using the card abroad. 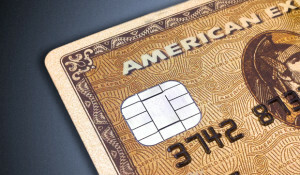 However, because Amex adds a 3% foreign exchange fee, you might want to get a separate free credit card to use abroad. Unfortunately there are no credit cards with a 0% foreign exchange fee which earn airline or hotel points. One option is to get a free Curve Card – see this HFP article – and link it to a miles-earning Visa or Mastercard. After the first year, when the £140 annual fee kicks in, you can cancel at any time for a pro-rata fee refund. American Express is the only card issuer to offer such a pro-rata fee refund. The sign-up bonus of 10,000 Membership Rewards points (12,000 if I refer you) is the most generous incentive available on a free UK charge or credit card. I strongly recommend signing up and giving the card a try, if only for the first free year. For day to day spending, 1 point per £1 is middling, although the 10,000 point bonus for spending £15,000 in a year would increase your average rate sharply if you achieved it. The application form for Amex Gold can be found here. Note that it’s actually “foreign currency transactions and airline transactions earn an extra point per £1 each.” In other words, they stack: if you buy a flight ticket with an airline in a foreign currency, you get the same number of points as you would buying it from Amex Travel. Can be a useful source of extra points if (a) you can’t find a particular return flight combination through Amex Travel, and/or (b) your employer is paying for your ticket and you can pass on the non-sterling transaction fee. Onc3 £2k is spent in 1st 3 months, when do we get the 20000 miles? Is it shortly afterwards or do we have to wait till Year is up. Interested in card, but only if I can cancel once miles received. A couple of days after you’ve spent £2k in total. Why cancel? Card is free for a year, offers a great 2 points per £1 on airline spend and you lose the 2 lounge passes. Yes, you can (after the two free entries) go in as a couple and you’ll be charged £40. Can I still apply for the AMEX Gold card and receive the sign up AVIOS bonus if I have the AMEX BA card? Wondering if there would be an bonus to upgrade from the Gold Credit Card to the Platinum one? No, because Plat is not a credit card so different legal basis. As a gold card holder, would I then be eligible for bonuses if I took out the Platinum card?